Whether it’s a Cleveland Select Pear or a Prairiefire Crabapple, the unique and healthy ornamental selection you’re looking for is right here at Lewis Brothers Tree Farm & Nursery. Let our experts give you the advice you need to select the perfect tree for your space. Selecting an ornamental or decorative tree for your yard or property is a matter of personal taste. 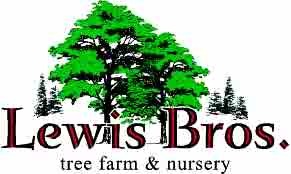 At Lewis Brothers Tree Farm & Nursery, we’re here to make sure you’re equipped with the expert knowledge and professional assistance you need to make the right choice for your tastes, property, and budget. 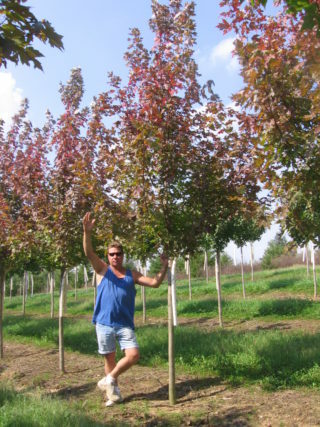 All of our trees are delivered to your project. We also offer planting and 1 year warranty so you can be assured of their quality and health. We also provide additional Tree Health Care Services for the first your to give your planting the healthy head start you are looking for. Call to make an appointment to view our nursery today! Our experts are eager to show you around! 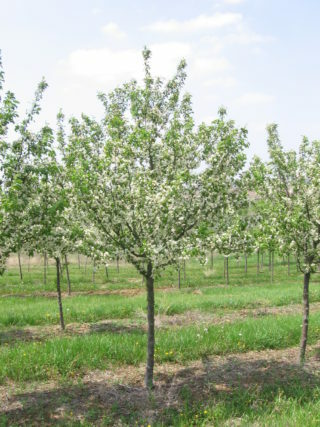 The Cleveland Select Pear is an excellent ornamental tree with dense clusters of white flowers in early spring, and very glossy green leaves turning to shiny reddish purple in the fall. The Cleveland Select can reach 30 feet in height and 15 feet in spread within 15 years. Superior branching structure that withstands ice and wind damage better than the Bradford Pear. Small fruit, hidden by foliage, remains on the tree into winter. Not messy. The Autumn Brilliance Serviceberry is a hybrid between the Downey and Allegheny Serviceberry. 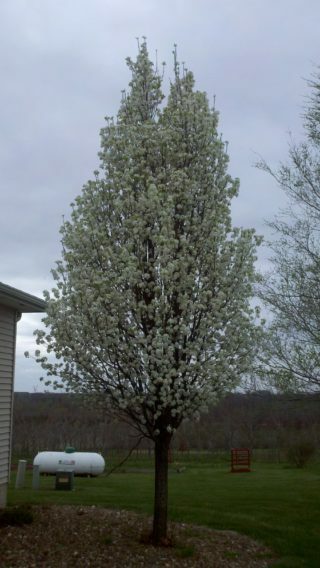 It is a rounded, graceful, smaller tree whose limbs will be covered in white blossoms each spring. Its spectacular show of white flowers in early spring is one of its main ornamental features. They begin to flower as a pale pink then fade to snowy white fragrant flowers. The petite blue-green foliage turns a brilliant reddish-orange in the autumn. An excellent crabapple with a round crown, the Donald Wyman produces masses of white flowers in the spring from plentiful red to pink buds. Very showy in the fall with it’s 3/8″ persistent red fruit. Foliage is medium green in color and remains in excellent condition throughout the entire growing season. The ‘knotty’ look of the truck of this crabapple gives it a unique appearance. The Prairiefire Crabapple is a rounded, 15- to 20-ft. tree that presents an all-season extravaganza. First, prolific, pinkish-red blooms. Next comes new purple-maroon foliage, that matures to reddish green. Fall brings a display of red, orange and purple—accompanied by glossy red fruit. Fruit persists into fall or winter and provides food for birds. The Purple Prince is a round tree with deep purple-green foliage and cherry like bark. Carmine-red buds open to bright rose-red, single flowers. The persistent fruit is 1/2″ diameter and a purple-blue color. It is similar to the Prairiefire Crabapple. The Redspire Pear originated as a seedling of the Bradford Pear. It is an excellent ornamental tree with dense clusters of white flowers in early spring, and very glossy green leaves turning to shiny yellow – red in the fall. Superior branching structure withstands ice and wind damage better than the Bradford Pear. Small fruit, hidden by foliage, remains on the tree into winter. Not messy.